Mrs. Richard Loisell narrates a puppet show for students from Highland School. This JLEP sponsored show travels to schools, day care centers and the Thomasson Hospital Childrens ward. With its increased membership and the extensive groundwork laid during the previous 40 years in the areas of researching and managing its own projects, the Junior League of El Paso was able to respond quickly to the challenge of its new endeavors as national and community concerns changed during the 70’s. The 70’s brought new creativity and vitality to projects in the arts. The Children’s Theatre began to experiment with pantomime and puppet shows. The League sponsored regional Metropolitan Opera auditions, and a variety of other projects were initiated, including Congress 2000, the UTEP Musical Showcase, the Zoo Slide Show, Project SAVE, the Youth Resource Board, and the Chamizal Festival of the Arts. In March, 1974, the League voted to support a new community project, Congress 2000 with $25, 000 seed money to initiate the program. Congress 2000 allowed citizens to participate in the shaping of their community’s future. 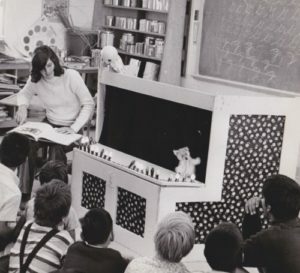 In conjunction with this attempt to identify community needs and problems, there was an interest in education within the League itself that led to the SEARCH self-enrichment classes in 1973. The Women’s Resource Center housed by the YMCA began operation in March, 1978 to provide life planning, job counseling, and educational and crisis referral to women in transitional stages of life. League members served as intake workers, clerical aids and members of the Management Committee and Advisory Council. The 70’s began to see changes taking place in our traditional methods of fund-raising. A very successful “Garters Galore ’74” continued the tradition of the “Follies Revue”isory Council. The 70’s also began to see changes taking place in our traditional methods of fund-raising. 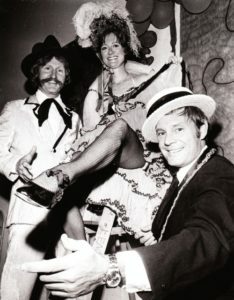 A very successful “Garters Galore ’74” continued the tradition of the “Follies Revue” with a gross income of approximately $64,000 and a net profit of approximately $40,000. At the same time, work was begun on two new Ways and Means projects: Seasoned with Sun Cookbook, which was originally named Half-Baked Cookbook (8,930 were sold at $5.00 each by April 15, 1975 for a gross income of ($45,436.80) and “A Christmas Fair”, which was originally named “Christmas Boutique” and the “Country Christmas Fair,” first held in November, 1974 at the El Paso Country Club (gross profit $13,500). Still exhibiting its long-standing commitment to children’s causes, JLEP established and continued its efforts through the Youth Assistance Program, the Child Care Umbrella Project, the Child Abuse Seminar, the Southwestern Community House, Volunteers in Public Schools (VIPS), and Parents for Drug Awareness. The Youth Assistance Program was begun in 1975; it sought to divert potential juvenile offenders by making appropriate social services available to them. It also printed a Youth Service Directory. The Child Care Umbrella Project was implemented to improve the quality and availability of child care in El Paso by improving communication between child care facilities through the publication of monthly newsletters and by improving and expanding the system of registered daycare homes. The Child Abuse Seminar featured nationally-recognized speakers educating over 500 teachers, day care personnel, doctors and police employees on child abuse, the legal ramifications of reporting abuse or neglect, and providing firsthand experiences of an abusive parent. Additionally, the League also provided funding and support to the Southwestern Community House, which opened in 1978 as a residential treatment center for disabled adolescents. During this decade, the League also trained over 1500 volunteers annually to work within the public schools in its VIPS programs. Finally, the League played a major role in organizing Parents for Drug Awareness.